Pollution being released into the air. How Stuff Works. In Australia, the Prime Minister Julia Gillard announced on Sunday, 10th July that a carbon tax will come into effect from 1st July, 2012. The prospect and debate over whether Australia should have a carbon tax, and if so, what terms it should include has long divided the Australian public. Amongst all the hoo-hah within the media, it is hard to know what the purpose of the carbon tax, where the money from the tax will go and who will pay for it. The carbon tax is a charge of $23 per tonne of carbon pollution which will be paid by the biggest 500 polluters within Australia. The theory is, that in turn these polluters will either a) continue business as normal, and pass on the extra cost to consumers, or b) change their business models and practices to deliver greener products and services to consumers. Although, some businesses may pass on the costs, as a consumer, you will have the choice to use greener and cheaper services and products, taking your business away from the polluters who continue to pollute. 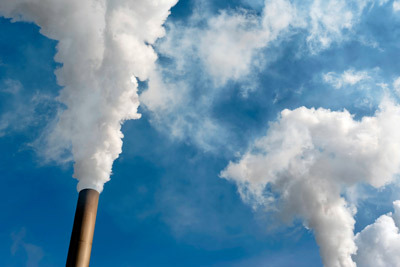 The main aim of the carbon tax is to reduce the carbon pollution from being released into the atmosphere, by making the biggest polluters pay. Simply, if they don't want to have to pay for their pollution, they will reduce omitting it. The government has also promised to compensate households and pensioners who will struggle under the new tax, which will actually make some families slightly better off than they were pre-carbon tax. The money raised will also go into investing in greener industries and the development of greener energy. For more information, watch the video below by Get Up! Australia, which only takes two minutes. Also follow this link to read more information about the Carbon Tax.